We took a long drive from Nairobi this weekend to visit my friend J's homestead in Eldama Ravine. (M was such a champ for driving seven hours in one day!) Eldama Ravine is famous for its beautiful rose exports and served as provincial headquarters during the British colonial period of Kenya's history. The drive was one of the most scenic we've taken in Kenya. 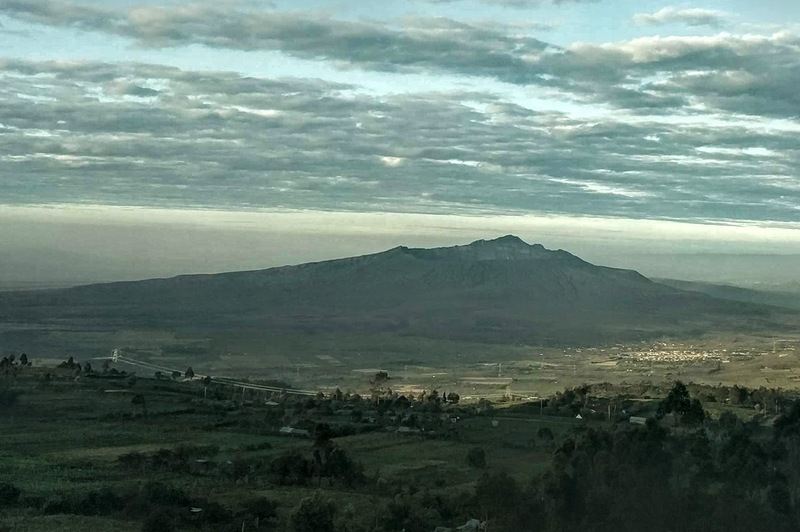 We passed through the more well-known Naivasha and Nakuru areas on the way to Eldama Ravine, and we caught some amazing views of sights like Mt. Longonot and the Rift Valley. We even stopped for a quick bite of breakfast at a local lodge in Eldama Ravine - M and I both ate for the equivalent of 60 cents! Once we got to my friend's house, she took us to the dam she, her family, and her neighbors rely on for fresh water. She says they would devote an entire day to walking there, collecting water, and walking back. The water was so clean and clear, and the air from the surrounding forests was so fresh. The occasion for our trip was a lovely party hosted by J's family. We met her extended family, neighbors, and friends. I had the opportunity to share a little bit about the Church of Jesus Christ of Latter-Day Saints, too, since that's where J and I attend church (and it's how we know each other). M and I also learned a little more about Kenyan (and Kalenjin) culture. 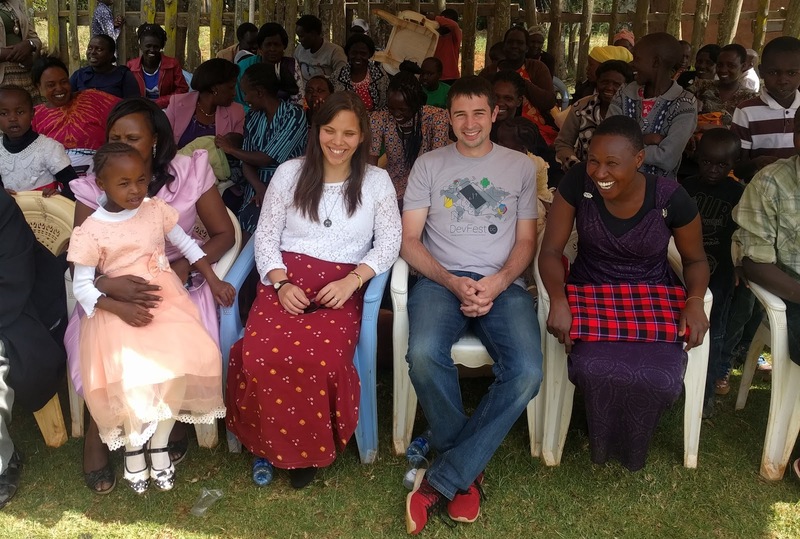 We're honored that J and her family hosted us so graciously - a shining example of famous Kenyan warmth and hospitality! 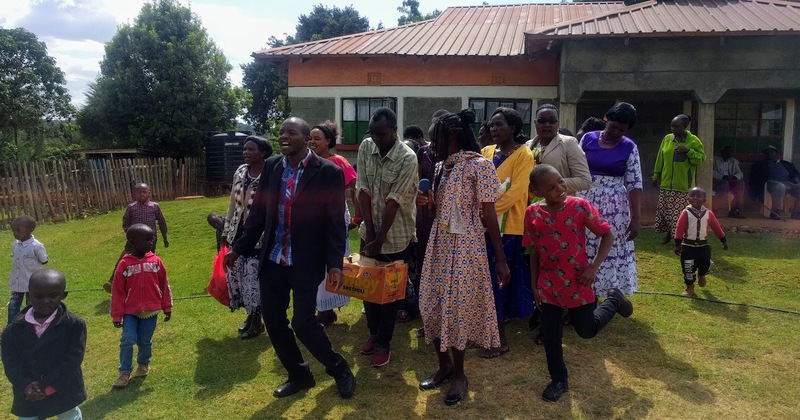 One of the best parts about living in Kenya is having the opportunity to make real, lasting friendships with people we might never otherwise have been lucky enough to meet. It's fun to explore Kenya's less touristy regions and interact with so many who might have never met an American before. (Building people-to-people ties just makes my Public Diplomacy Officer heart soar!) Tutaonana tena; see you again, friends! Drum Roll, Please: Where We're Going Next! The content of this blog does not represent the view of the U.S. Department of State or any other U.S. Government agency, department, or entity. The thoughts and opinions expressed on this blog are solely those of the author and in no way should be associated with the U.S. Government.